Joining a wine club is literally the most perfect way to take Lodi on the go with you! Wine clubs not only get you into premium events throughout the year when you’re in Lodi but also discounts and of course wine! Take Lucas’ Wine Club at The Lucas Winery, which not only includes handcrafted wine shipped to your house (or available for pickup if you’re nearby) with a discount on all wine and non-wine purchases and complimentary tasting for you and your guests when visiting the winery! Some wine clubs allow you to choose not only the number of bottles you’d like but also the color of the wines delivered! Wine Club’s like LangeTwins Family Winery and Vineyards not only include similar perks but also lets you choose between red, white or a mixture of both! But there are plenty of wine clubs to join, so find the right one for you by coming to Lodi and go tasting! We realize this is really twisting your arm right now that you have to come to Lodi and go wine tasting, but it’s how you’ll find the right wine club to join for you! Downtown Lodi is full of fun and adventure! Looking for the right thing to improve your home? There are plenty of stores to do just that. Take Voila Gifts and Home Décor who offer an eclectic collection of items for your home and garden. Or the House of Iron who provide beautiful wrought iron design where you can even get their artisans to customize or fabricate and install literally anything made of wrought iron. Doing a little shoe shopping? Check out Burton’s Shoes, in business in Downtown Lodi since 1948, who specialize in everything from elegant heels to custom fit orthotics. Needing some boots? Joe Hassan’s Clothing and Western Wear isn’t just the place for work and cowboy boots, but plenty of other western wear! Diamonds are indeed a girl's best friend, so the ladies should check out one of the many jewelry shops in town, like Danz Jewelers, for a lovely necklace or bracelet to add to the repertoire. For the fellas, check out Prestigio Jewelers for a watch that showcases your sophisticated and elevated style! You can always spend your return on something fun for you too! Pick up a new outfit at places like Stella Mitchell, the Fashion Safari or even Tuxedos of Lodi or buy a new Kayak at Headwaters Kayak or search for those new and vintage comics, cards and collectibles at Comic Grapevine. You worked hard all year, gave plenty of your cash to the government. At the end of a hard year of work, isn’t it time for you to take some time for you? Plus, nothing says love like a spa day with your partner or your best friend! With plenty of spas in the area, you’ll want to select the right one for you by looking into the services and styles across the board. Whether it’s a simple manicure and pedicure you seek with friends, some rejuvenation to your skin, or a relaxing massage, you can argue that you need this! You deserve it, and you worked hard for the money, so go on and #treatyoself! Lodi and wine tasting go hand-in-hand. The Sip Shuttle is famous for their tours, as they will pick you up and whisk you away to wineries across the appellation. These tours can be private with a small group, or you can grab a couple of seats on a trip and make new friends. Either way, it’s a way to have fun responsibly. Though not the only way! After a long year, grab a few friends and pull your returns together to have the ultimate wine tasting experience and hire a limo driver! Not only is it responsible, but you’ll roll up to the tasting rooms YOU want to go to in true style! Celebrating getting money back from the government is a time to splurge, and who doesn’t like to splurge on a delicious meal?! There are quite a few excellent dining options in Lodi that can be perfect for you to have a romantic night out or get that amazingly delicious meals with a group of friends. Restaurants like Towne House and Pietro’s Trattoria are two of the finest in the city and offer completely unique experiences. The Towne House at Wine & Roses Hotel is known for its dishes that are sourced from local farms and their own garden. The tasty Niman Ranch Duroc Pork with potato gratin and rainbow carrots is simply amazing, as is the Ora King Salmon served with wild rice pilaf, English pea mirepoix and lemon beurre. Pietro’s, on the other hand, offers fresh, authentic Italian food like their housemade ravioli in meat sauce, gnocchi cotto complete with prosciutto cotto and a garlic black pepper cream sauce or spaghetti vongole, clams sautéed with pancetta in wine, butter and chiles. Better yet, go with a group and order dinner family style and share antipasti and insalata dishes before moving on to choose two first and second-course dishes. And this is just top of mind! There are all kinds of ways to take the money you got back in your return and do something fun for you! There are always fun events going on in Lodi that you can peruse on VisitLodi.com, and you can take a look at our Visitor Guide and start planning your vacation to Lodi including which of our comfortable accommodations is perfect for your stay. 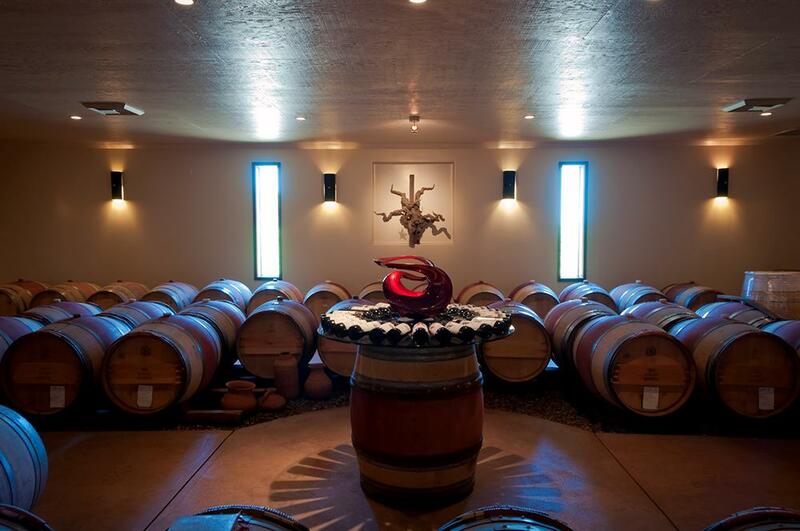 Sip, swirl and savor from a selection of 200 handcrafted wines from over 40 Lodi wineries.